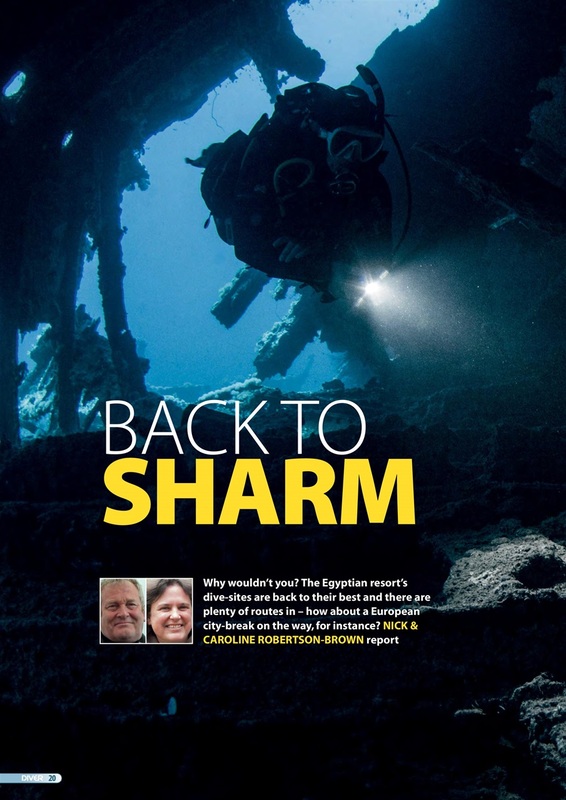 SHARM – If flight patterns have changed, so has the diving. LOST AT SEA – Where the hell did our boat go? 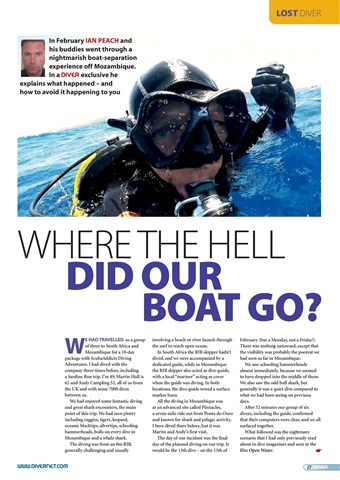 SNORKELLING – Don’t underestimate the value of going by tube. 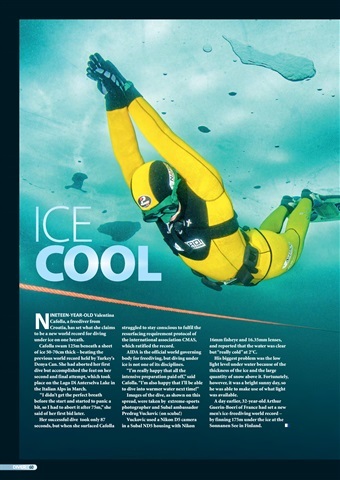 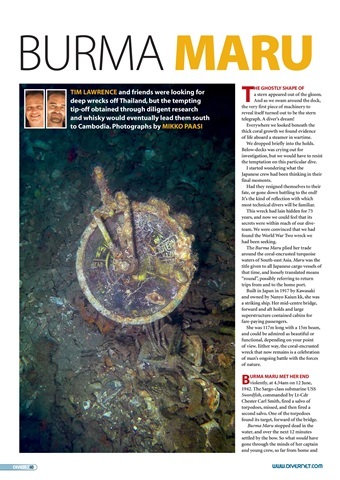 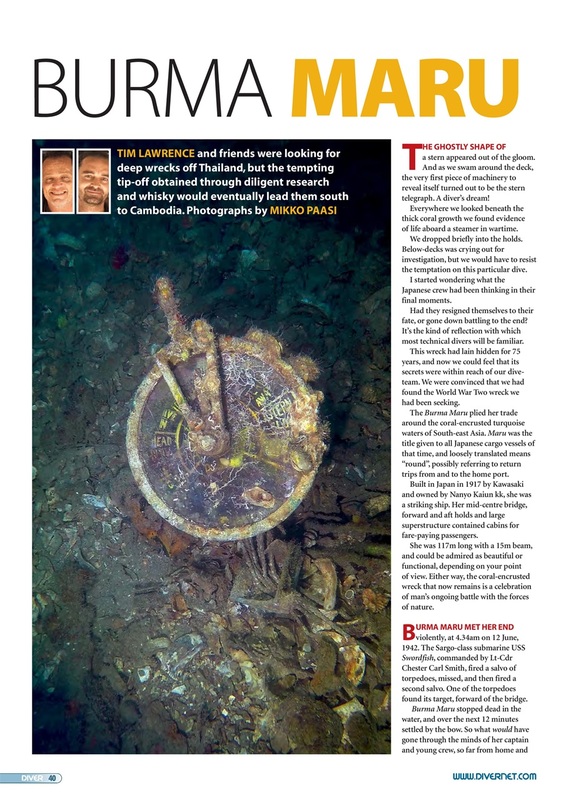 CAMBODIA WRECK – Clues lead divers to a WW2 wreck. BULL SHARKS – Eye-opening experiences on a trip to Mexico. ICE COOL – Beneath Alpine ice on a single breath. 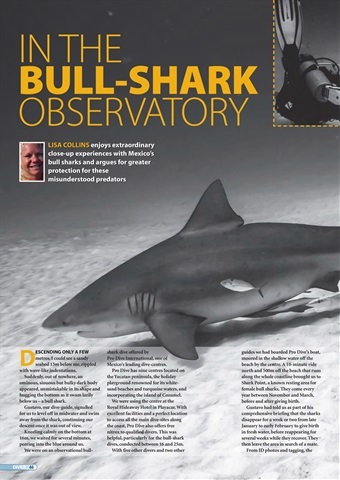 MALDIVES – Unexpected highlights of a shark tour. 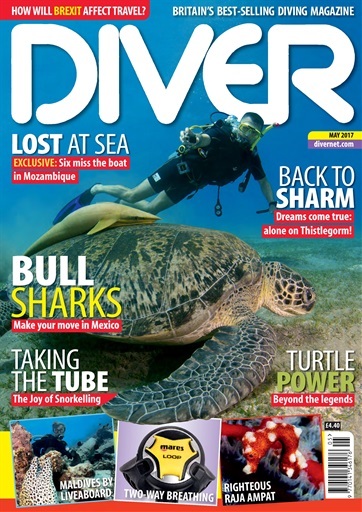 TURTLES – Behind the myths and under the shell. RAJA AMPAT – A dive-centre that has raised the bar. 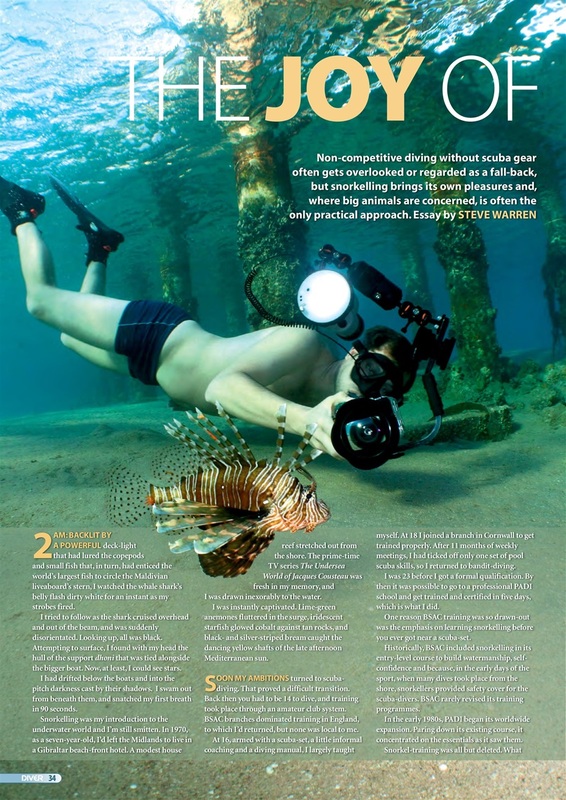 CROWN OF THORNS – Starfish can be deadly – a warning from DAN.